Hormonal imbalances, pollution and sun radiation act on key skin structures to induce skin aging. Collagen, the main protein of the extracellular matrix responsible for skin smoothness and strength, is then decreased. 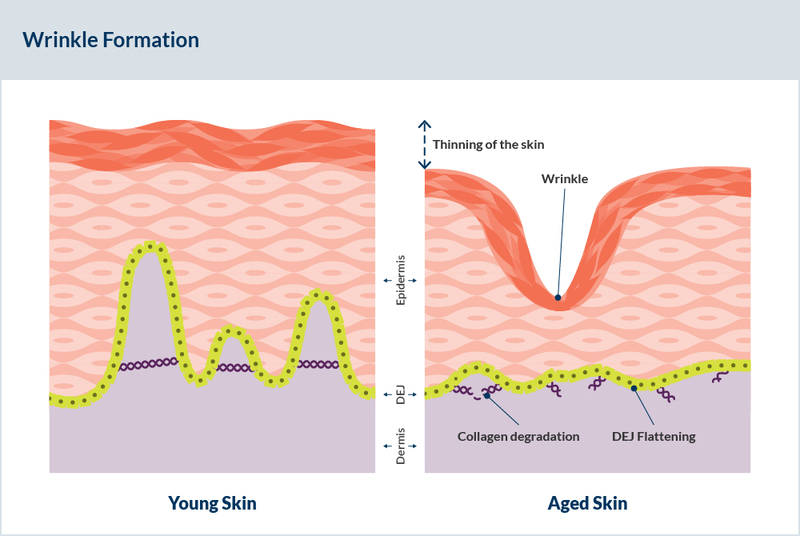 With aging, skin contains less and less collagen, and is consequently more susceptible to shearing forces induced by movements of our muscles or gravity. Therefore, tissues slowly collapse at the same time that wrinkles are formed. 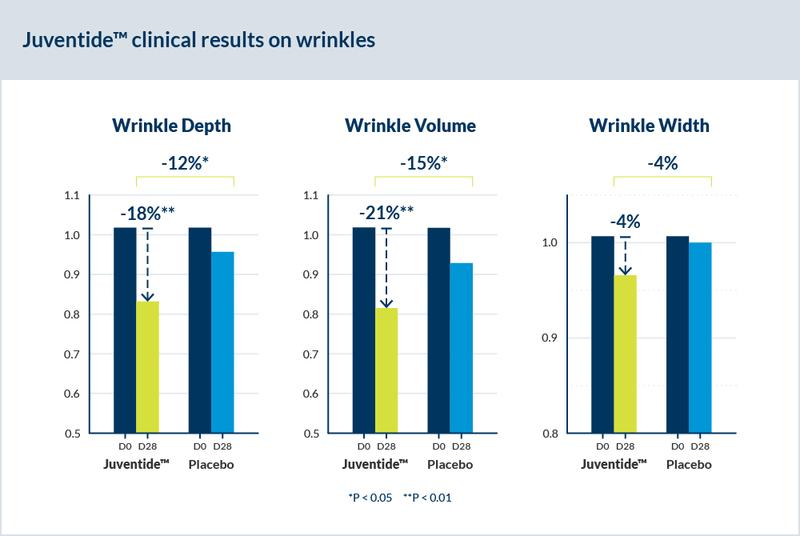 In a clinical study using a 1.6% Juventide™ cream or a placebo, mean values of wrinkles depth, width and volume were calculated for each subject, before and after 28 days of application of the test product. After only 28 days of application, Juventide™ induced a significant reduction in wrinkles depth and volume of 18% and 21% respectively. This reduction was also significant when compared to the placebo with respectively 12% and 15%.